Having a website presense is critical for most businesses today. Whether your company enagages consumers (B2C) or businesses (B2B), your customers want more information about your products and services. With so many advances in technology it is now possible to provide your customers with more than static content. E-Commerce can easily trasform your local marketplace to a global market. With social networking you can encourage customer interaction and create a buzz about your products/services. With options such as newsletters and specials, you can ensure you are constantlty engaging your customers. Our website development services include a professional website design, access to our content management system (CMS) and reliable website hosting. Our CMS enables you to manage your website content, products, orders, customers, newsletters, blogs and much more. Through planning we will define your target audience, purpose and objectives. The information you provide about your company will be analyzed to come up with a plan for the website design and website components that will benefit your business. We will then implement yourdesign, on our content management system. 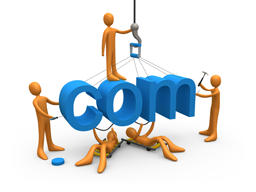 Once the completed and approved, we will unvail your new website to the world.